Heterick, B.E. 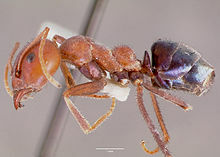 ; Shattuck, S. (in press): Revision of the ant genus Iridomyrmex (Hymenoptera: Formicidae). This page was last edited on 31 January 2019, at 05:12.